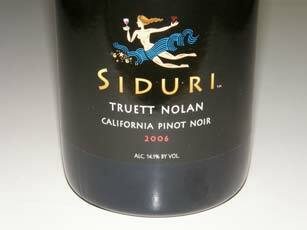 Siduri has the distinction of crafting more distinct Pinot Noir bottlings than any other producer in California and Oregon. Since beginning modestly in 1994, the Lees have found an increasing and changing number of outstanding vineyard sources for Pinot Noir stretching all the way from Oregon’s Willamette Valley in the North to Sta. Rita Hills in California’s Central Coast in the South. In the 2006 vintage, 18 single-vineyard Pinot Noirs, 5 appellation blended Pinot Noirs and a unique California blend (Truett Nolan) are offered. As if that wasn’t enough to shoulder, in 1998 they began producing Syrah and other varietals under the Novy Family Wines label, named after Dianna’s family (the Novys). 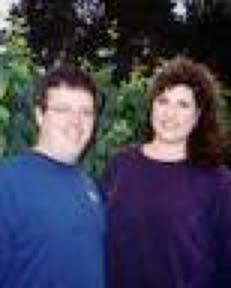 The Lees hail from Texas and when they arrived in Sonoma County in 1993, they had no winemaking experience. Adam, like many of his winemaker brethren, followed a circuitous route to winemaking. He majored in history in college where he had his first drink, having been raised in a Southern Baptist family that disapproved of drinking alcohol. Fresh out of college, he could only find employment in a wine store and it was here that Adam was able to taste many of the great wines of the world. He had a knack for selling wine and rose to President of Austin Wine & Spirits before becoming a buyer for Nieman Marcus in Dallas where he met Dianna Novy. Dianna grew up on a farm and majored in marketing in college, both pursuits eventually providing a valuable background for the wine business to come. The two began with $24,000 and one acre of Pinot Noir from a vineyard in the Anderson Valley, producing 107 cases of their first vintage in 1994, shortly after their engagement. On a whim, they left a bottle of their first Pinot Noir with Robert Parker, Jr., who was staying at the Meadowood Resort in the Napa Valley. Parker ultimately gave the wine a high score and they were in business to stay. To say their rise to success has been meteoric is to put it mildly. Critics fawned over the winery’s first release in 1994, and noted wine critics like Robert M. Parker, Jr. (“One of California’s top Pinot Noir producers.”) and Matt Kramer (“To taste Siduri is to taste some of the best Pinot Noir made in America today.”) were effusive. Despite their notoriety, the Lees work out of a modest winery warehouse in an industrial park in Santa Rosa (since 1998), and the two not only make the wines, they market and sell the wines, send out a frequent newsletter of interest, and still take out the trash. It is a no frills operation where the emphasis is on the wines. Siduri has always been committed to quality. Grapes are purchased by the acre and crops are rigorously thinned. All work in the winery is hands on with a commitment to top quality oak, and all wines are bottled unfined and unfiltered. The Pinot Noirs have been full-bodied, rich and very Caliesque, yet balanced and consistently reflective of the vineyard sources and vintages. The logistics of producing so many individual wines seems overwhelming to me and I have found some unevenness in the wines, finding some outstanding and still others just pedestrian. I find it admirable that the Lees have always been sensitive to pricing and have raised their prices little over the years. They offer something for everyone among the 7,500+ cases of wine they produce, ranging from their 2006 Sonoma County Pinot Noir (1,940 cases) priced at $19 to the 2006 Truett Nolan California Pinot Noir (192 cases) priced at $70. 13.4% alc., 295 cases, $40. Siduri has sourced fruit from this vineyard since 2000. This is consistently one of Siduri’s most elegant bottlings. 13 barrels out of 38 were chosen for this vineyard-designated wine. · A demurely colored and lighter weighted wine of great finesse with oak-kissed strawberries and cherries running throughout. The gossamer tannins create a silky texture. Very approachable, but leans a little heavily on oak. 14.1% alc., 490 cases, $45. Juice was bled off to concentrate the wine, more whole clusters were used than normal, and strict barrel selection was employed. A blend of Pisoni clone, Pommard clone and Dijon clones 777 and 828 aged 10 months in 80% new French oak. · Lovely aromas of black raspberry, plum jam, oak and green tea. Bright, tantalizing and full-bodied blackberry fruit with an attractive earthy note and a hint of citric tang on the clean finish. The tannins and oak are beautifully reigned in. The pedigree of the fruit really shows through in this wine and it is one of the best examples of Rosella’s Vineyard Pinot Noir I have ever tasted. A show-stopper and everything you could ask for in a Santa Lucia Highlands Pinot Noir. 13.6% alc., 486 cases, $45. A blend of 32% Pommard clone with the remainder Dijon clones 115, 667 and 777. Aged in 81% new French oak for 10 months. · Darkly colored. Fruity nose featuring very ripe blackberry and black stone fruits with toasty oak and a hint of spearmint. The attack of dark fruits is rich and fulfilling with a smooth follow-through, finishing with a generous strike of oak. 14.1% alc., 192 cases, $70. This is a special wine to honor the birth of the Lee’s third child, Truett Nolan, who was born April 17, 2006. It is a blend of 50% Keefer Ranch Pinot Noir, 25% Sonatera Vineyard Pinot Noir, and 25% Clos Pepe Vineyard Pinot Noir. Barreled for 16 months. · The nose is restrained but charming offering oak-dusted black cherries and a small dose of good Pinot barnyard. Lovely red Pinot fruits are softly textured and enhanced by oak and spice. The whole package is seamless and comforting and the finish has remarkable persistence. This is a refined and restrained Pinot Noir that offers its pleasures slowly - a wine that seduces you rather than attacks you. It was still drinking beautifully the next day from a re-corked previously opened bottle portending a long life ahead. Here’s hoping the Lees keep having children. 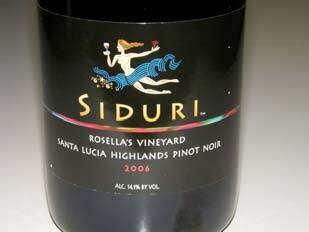 Siduri Wines are sold primarily through a mailing list with some retail and restaurant distribution. The winery is open for tours and tasting by appointment at 980-c Airway Court, Santa Rosa (707-578-3882). 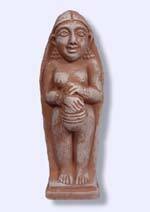 Join the mailing list at www.siduri.com. Several years ago in one of Siduri’s newsletters, Adam Lee wrote about the differences between the appellation wines and single-vineyard wines he produces. Although this piece was written about Siduri Pinot Noirs, it is applicable to most Pinot Noir producers. The explanation was so well composed, I wanted to paraphrase it here for the reader’s interest.